Our values and ways of working are underpinned by optimism, creativity and community and is infused by our professional practice as artists. We work to activate personal, empathetic connections that bring about fresh thinking around access and diversity. 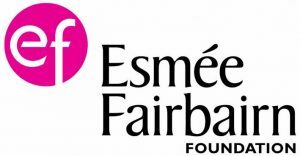 We believe that meaningful engagement around equality and diversity is dependent on ‘falling in love’ with new ways of thinking. Significant change involves a shift from the ‘ought’ to ‘want’ position – and an appreciation of the ‘carrot’ rather than the ‘stick’ of inclusion and representation. 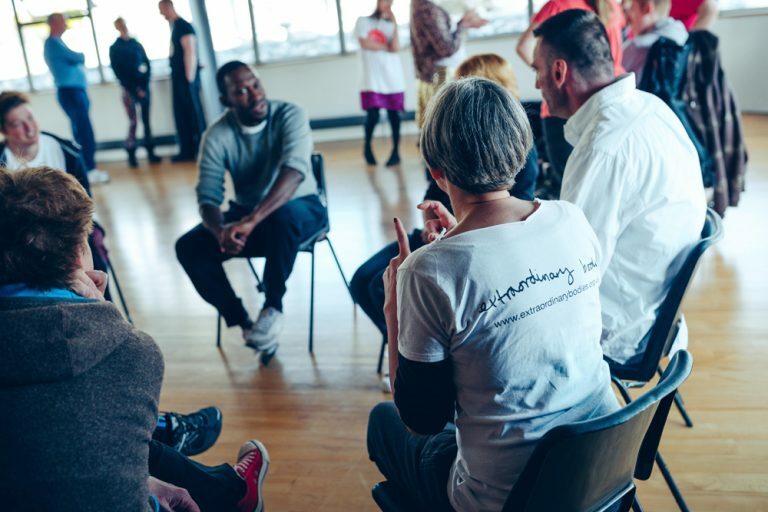 We create non-threatening environment where the arts, coaching, storytelling and life experience come together and our aim is to draw out new understandings about how we lose our fear and judgement, to move beyond bias to connection. Training can come in a majority of forms; for creative artists, teachers, organisational staff and boards, or workshops for young people. The training can be tailored to suit your needs. “Diverse City are a down to earth and genuine organisation that possess a wealth of knowledge around equality and diversity. They value all members of the team and every individual they work with. Arts Development Company, Bristol Old Vic, Gob Squad, Nottingham Playhouse, Rounded Rhythm, Theatre Royal Plymouth, The Point in Eastleigh. Read more about our Training Partnerships in 2018 with Ramps on the Moon and the National Youth Theatre. 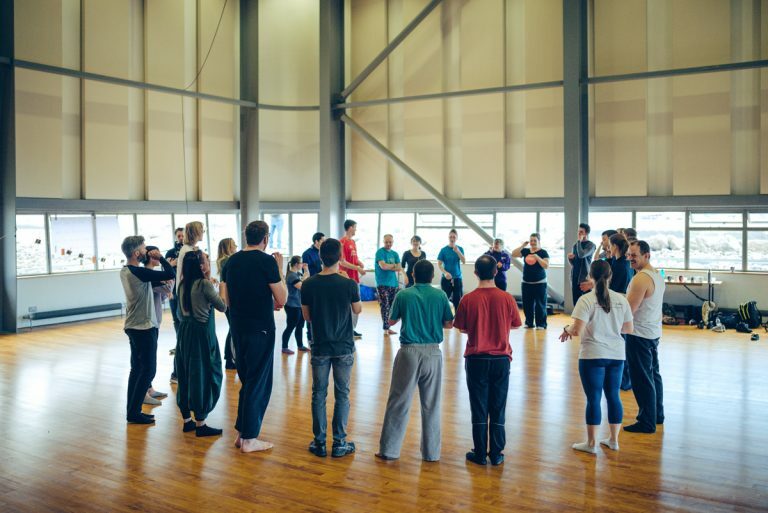 Our most popular training is the Inclusive Rehearsal Room, which is a practical, Creative Professional Development masterclass. We introduce ways to teach and work through dance and the performing arts that nurture creativity and wider opportunities for EVERYONE in the room. We enable an understanding in how to meet the demands of the inclusive 21st century rehearsal room, classroom or studio. Knowledge of the practical steps to take, to widen arts participation. 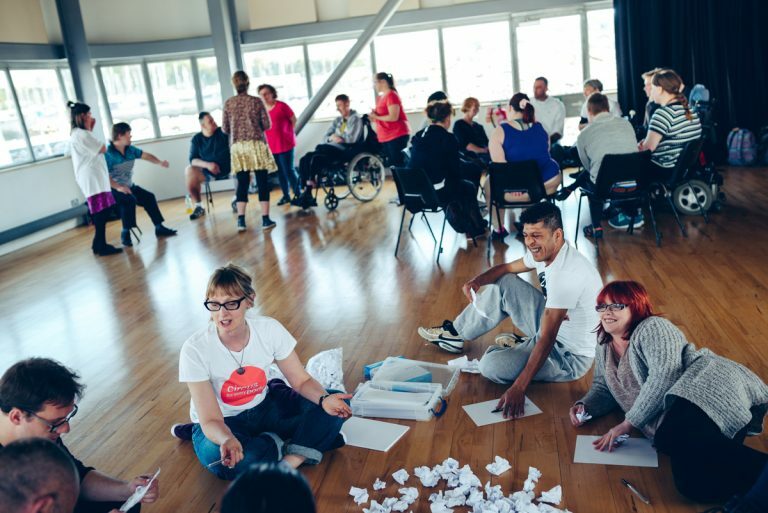 The Inclusive Rehearsal room can be adapted for organisations, individual artists, practitioners, BA students, Higher and Further Education Theatre Lecturers, who wish to build a shared creative practice that welcomes disabled and diverse participants equally. If you are interested in working with us or want Diverse City to deliver training near you, please fill in our booking form or contact louise@diversecity.org.uk.